When changes are made to Offers (opportunities) or Enrolments (a course undertaken by a student for a period of time), eBECAS captures why the change took place. This facility enables your College to monitor why students cancel their offers and make changes to enrolments. 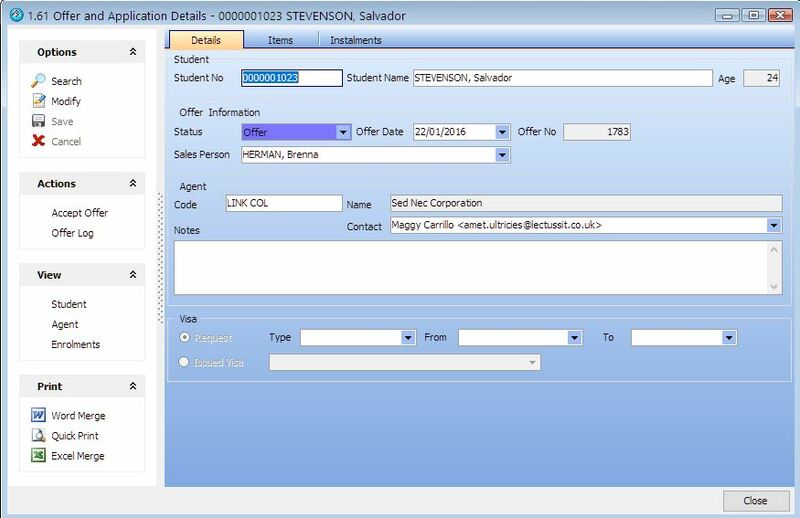 An Offer or opportunity in eBECAS has options to delete and change start date, course, course length and delete and add ancillary services and issue a pro-forma invoice (flexible invoice entered by the College for an agent or student in response to an enquiry). If an Offer is cancelled you can specify a reason, with note. 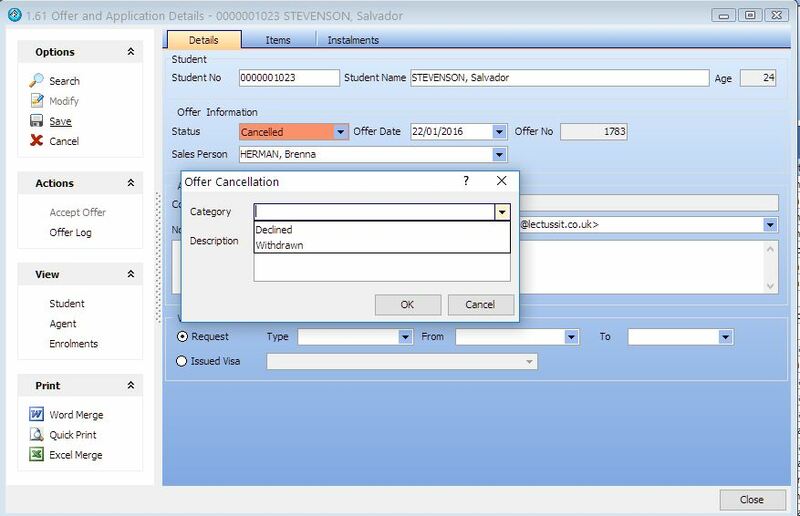 To define an offer cancellation reason, please go to eBECAS – Utilities – Setup Configuration – Offer – Cancel Reason. 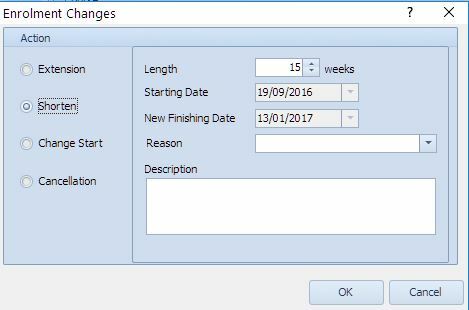 After pressing Save with the Status Cancelled, a screen will be displayed where you can select the cancellation category and description. In the offer search, you can filter your search for cancelled offers and also filter by period, country, agent and group by cancellation reason. You can export this data into Ms Excel. 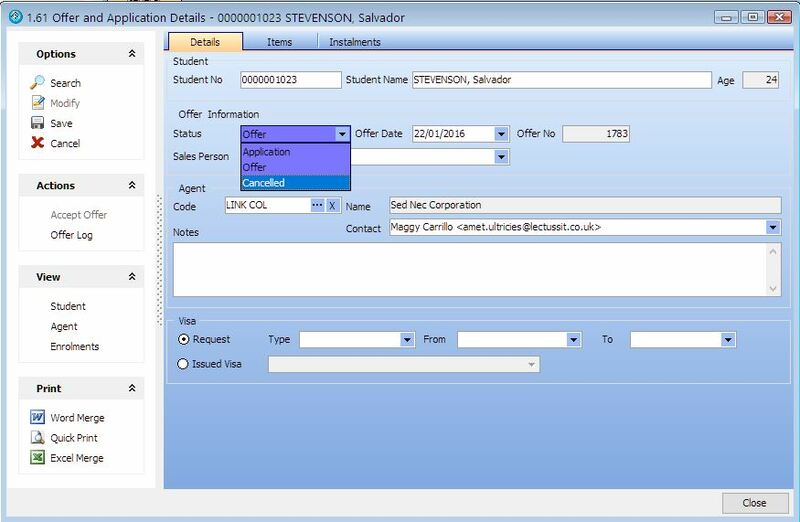 Once the Offer or opportunity is confirmed the offer is accepted, the Offer is converted to an enrolment where invoices generated and receipts can be entered against the invoices and money reconciled to banking, and students are pre-allocated to vacant class slots, ready for assignment to each course’s session class. To define an enrollment change reason, please go to eBECAS – Utilities – Setup Configuration – Student – Enrolment – Change Reason. 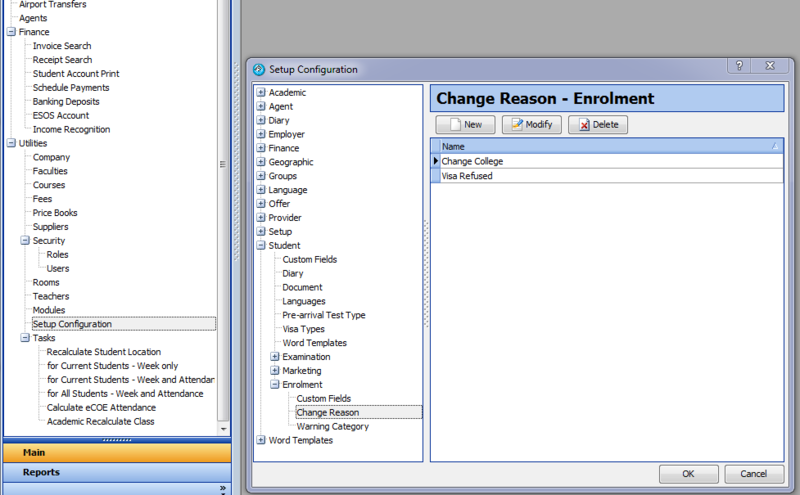 As and example, I have added two possible enrolment change reasons of Changed College and Visa Refused. 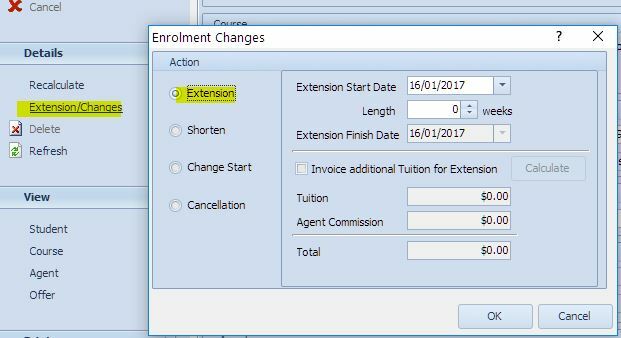 An extension is where the length of the enrolment (course being studied) is increased by a number of weeks. 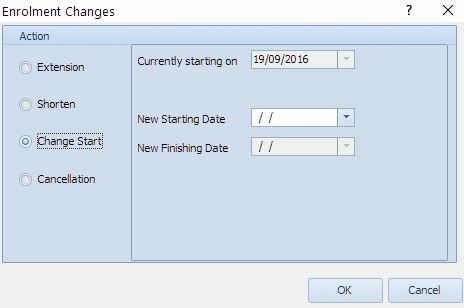 In the above screen the start date is taken from the next Monday after the current end date. 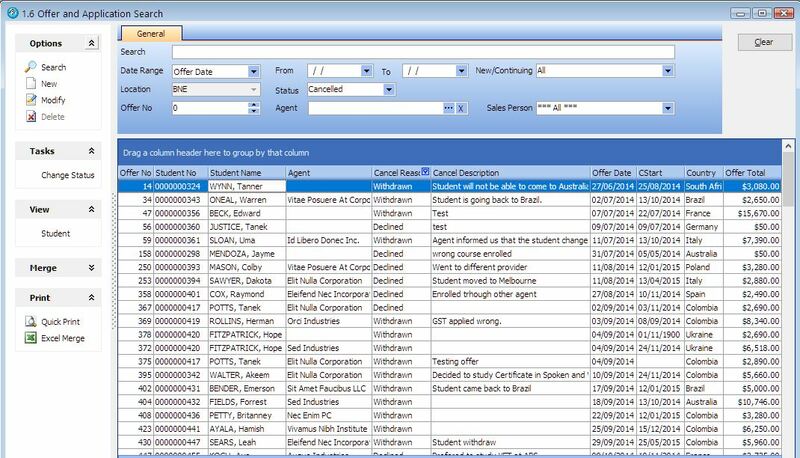 You can specify the number of weeks to extend, and optionally add an invoice for the tuition and agent commission. Typically this is used to shorten or reduce the number of weeks a student is studying for this enrolment. Please note you should NOT Cancel an enrolment if a student leaves early, you should always keep history of when the student attended your institution. If a student after enrolling to study 20 weeks, needs to leave their course of study, you shorten the enrolment to 15 weeks. You need to separately refund any fees if required. The student class attendance will be kept for the period of their study and will not be available to be placed in class for the shortened 5 weeks. This is probably the easiest understood. You can change the Start date of an enrolment to be any Monday. 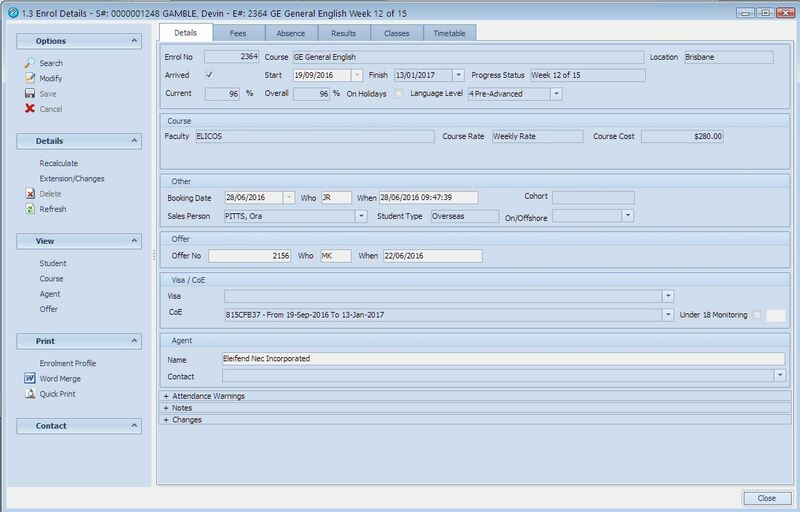 The end date is calculated which accommodates any course breaks. 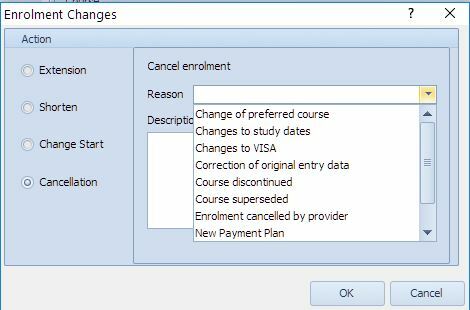 A cancellation is if the student never arrives – if the student did arrive and then left after attending several weeks class you should use the Change Shorten option NOT this option. A cancellation changes the enrolment status, and does not allow the student to appear in any class or for allocation to class. The fees need to be manually adjusted if receipted to Debit – refund if required, and to write-off any outstanding fees. 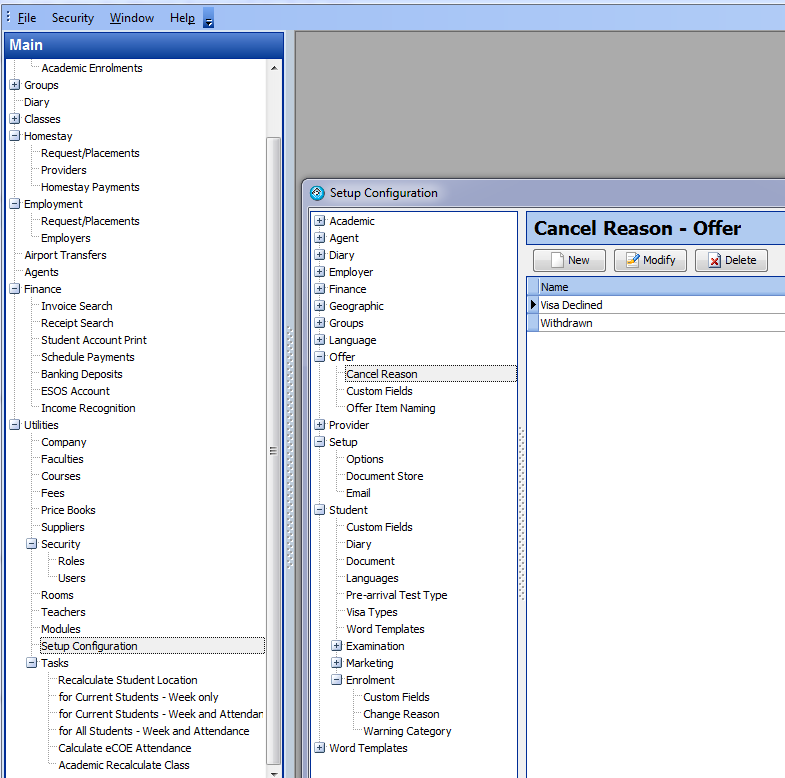 You need to select one of the reasons for the cancellation that you have previously specified in setup. 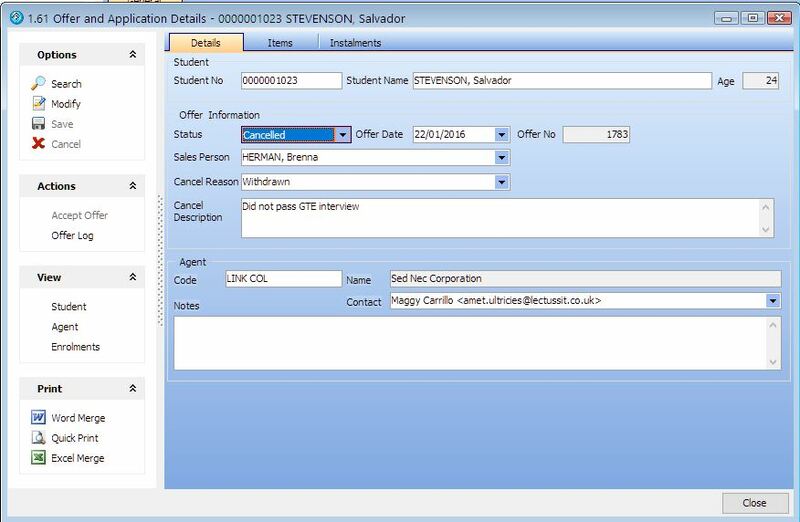 You can use the enrolment search to track cancellations and reasons for reporting and analysis.